For most of us, it can be difficult to truly understand what life is like for a child growing up in a developing country. Even more difficult is helping our children understand how other children live. What do children in developing countries eat? What types of things do they pray for? What does their school look like? What do their homes and rooms look like? The experience ignites conversations around how we can all help children around the world. For parents, this can be an invaluable teaching moment with their children. 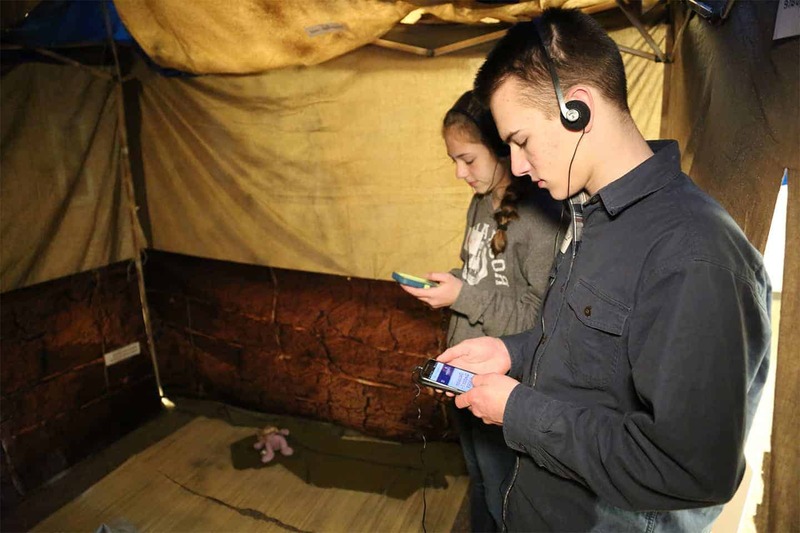 The event includes an audio-guided trip through different environments to show some of the unique challenges faced by children growing up in extreme poverty. It also includes a chance to share in short break-out style conversations to learn how your group is being affected by their experience. It’s our hope that the perspective gained through the Compassion Journey will raise awareness about poverty around the world, and the opportunity we all have to make a tangible difference for children stuck in the powerful cycle of poverty. Compassion Journey is a project of Compassion International. For over 60 years, Compassion International has been making a difference in the lives of children growing up in some of the most impoverished paces on earth. Though the statistics on poverty have greatly improved over the past 25 years, the reality is that there are still 385 million children living in extreme poverty (defined as less than $1.90/day by World Bank, 2013). This type of poverty stands in direct opposition to children growing up healthy, educated and with every opportunity to achieve their God-given potential. At the end of your tour through The Compassion Experience, you will have an opportunity to sponsor a child. It’s an invitation to enter the life of a child and invest directly into their future. Rooted in our Christian faith, we operate exclusively in partnership with the local church and you can trust our financial integrity. Your support of and relationship with that child matters for eternity. Your interest in learning more about poverty and hope in the developing world is so encouraging. We are determined to never raise a white flag to the terror of poverty. We believe that every child is worth every effort to live a life released from poverty. We hope you share that passion and can join us soon at an event in your area.